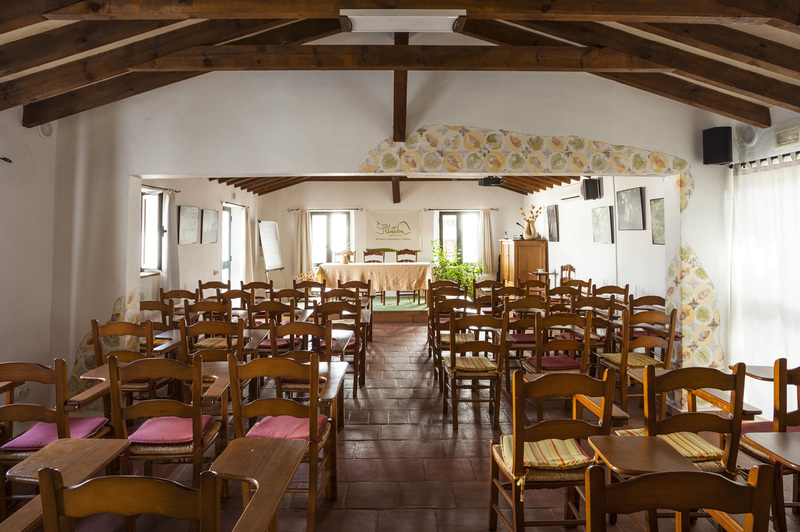 The noble part of the ‘cortijo’ is equipped as a training center, education and events, equipped with a main hall with capacity for 60 people and various rooms for smaller meetings, outdoor classroom, dining room, library and a secretarial area. 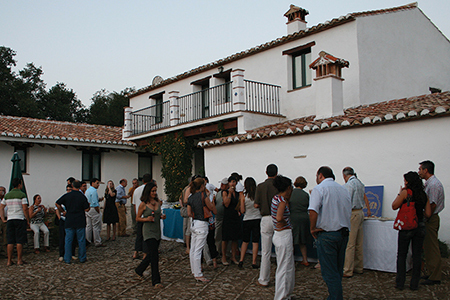 Among its characteristics are the beauty of the place, the functionality of its different spaces and its suitability for the realization of courses, days, meetings, meetings and small celebrations. The auditorium has a capacity of 60 seats and has audio-visual means, screen, projectors, public address system, blackboard, bulletin board, reception service and attention to the public. Exclusive use of the room, price per day € 300 plus taxes. Technical Secretariat for the organization of courses, conferences and meetings. Attention to speakers and companions. Organization of complementary cultural activities. Preparation of informative dossiers, informative materials and publications. Preparation of press releases and dissemination in the media. CongressCongress and short term conferences. 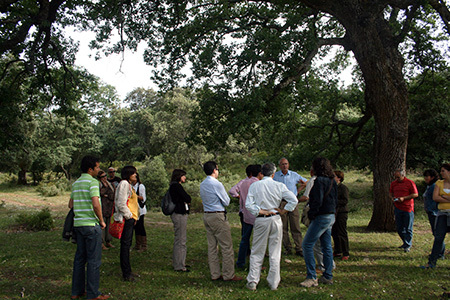 Research and professional groups meetings. Experimental field activities. Work teams meetings. Company programs. Products and services presentations. Courses and Educational Programs Courses and educational programs for medium and long term. Algaba can adapt its spaces for approved courses and educational programs with the possibility of accommodation and full board at the Centre. Meetings and shared Activities for AssociationsOur work on an exclusive basis facilitates the smooth running of the activities. Our commitment is to create an environment that facilitate the proper development of your programs. Families and Group Celebrations Algaba offers services of accommodation and catering with local and traditional dishes adapted to different budgets.